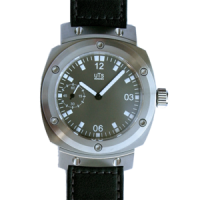 THE Adventure I: This German made watch features: A diameter of 46mm, As the successor to the first watch Herr Spinner fabricated (The Commander.) 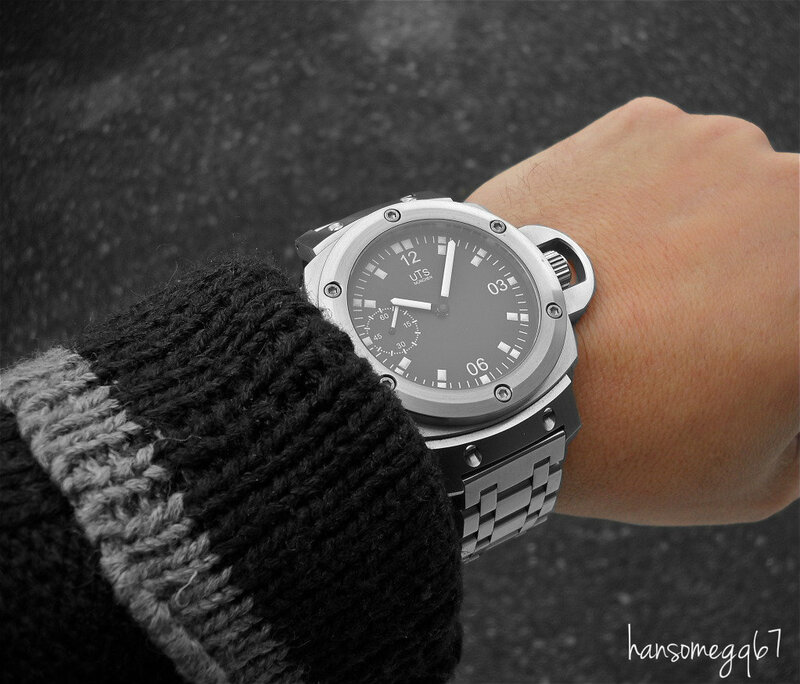 The Adventure series is a classical design with manual winding movement. 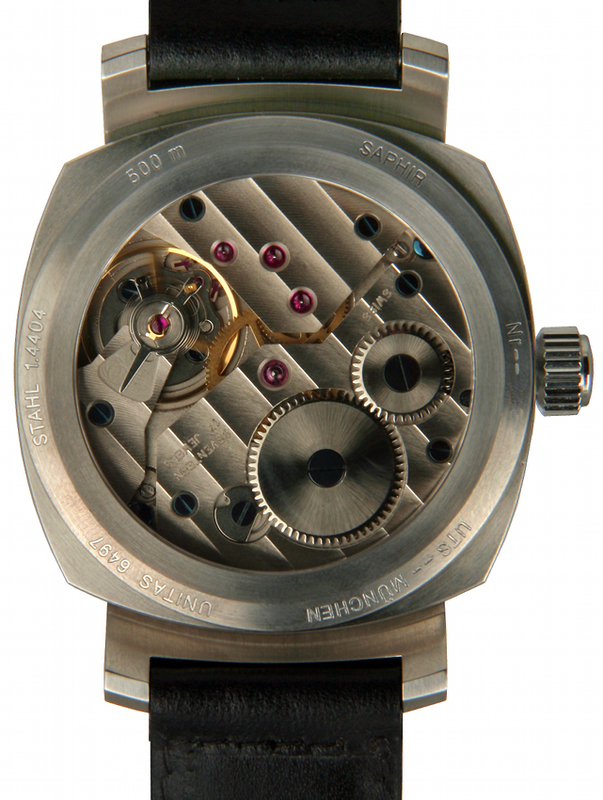 A High-end stainless steel watchcase d = 45mm made out of three major parts, all screwed together by six central screws and sealed with industrial grade gaskets. Both sides sapphire crystals with diameter 35mm. 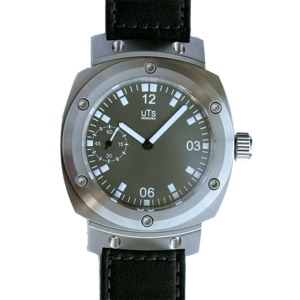 An extreme depth rating of 500M is unheard of in a manual winding watch. 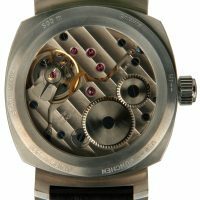 Of course this watch also uses a screw down crown, and can be fitted with an optional crown guard for additional protection. Engraved case-back, with continuous serial number. Fine mechanical hand winding movement ETA / UNITAS 6497 with rhodium or gold plated surfaces, engraved and decorated with stripes and blued screws. 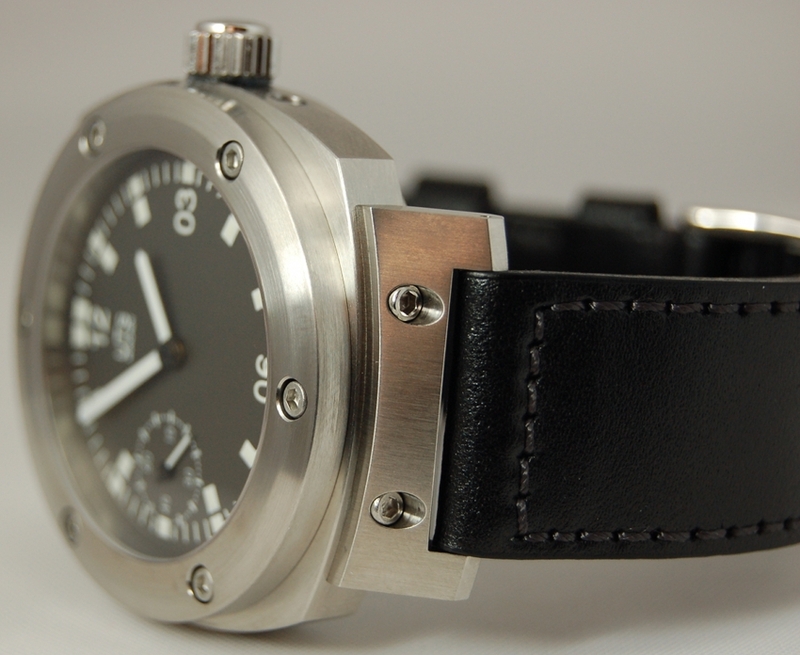 Can be worn with a rubber strap, stainless steel bracelet, or a wide variety of handmade leather straps. The UTS Adventure is a Classic. 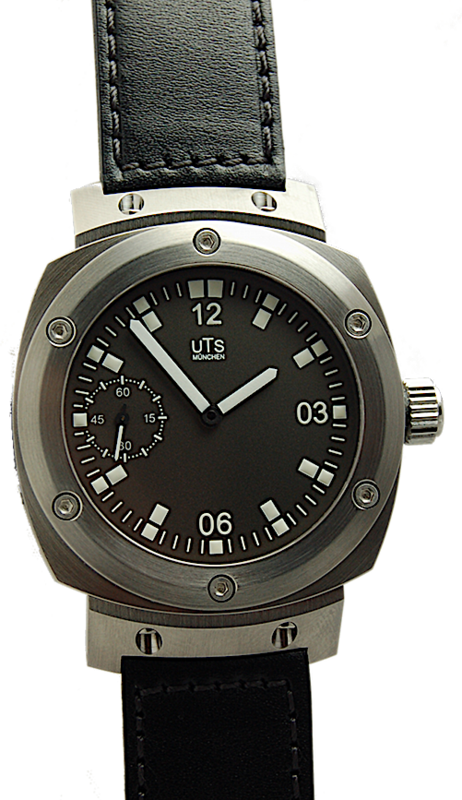 I love my UTS watch. 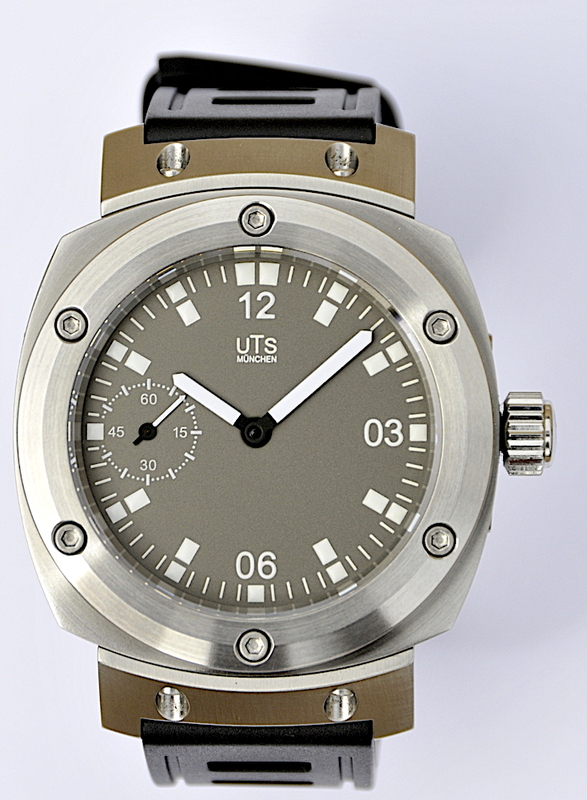 I have had a UTS Commander for nearly 8 years and it is still ticking away. When the UTS Adventure came out I had to have one of those two, it's different enough from the Commander and I love it equally. 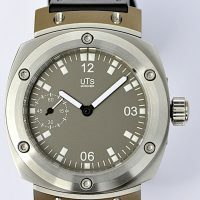 Going on 5 years now with my UTS Adventure handwinding watch. 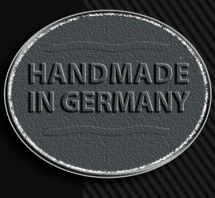 It is a flawless execution of German craftsmanship. Bravo UTS! 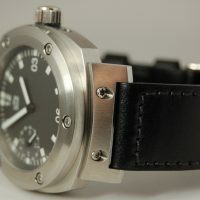 I have owned Panerai, Anonimo as well as several Glashuute watches. I primarily like manual winding watches for their esoteric simplicity. Finding the UTS Adventure Manual wound watch was a real treat. From start of the process in contacting Mr. Newman at UTS to the delivery of my watch could not have been a more pleasant experience. 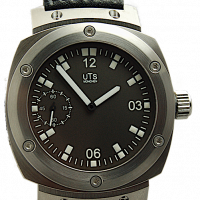 The UTS Adventure is a fantastic watch the case is really something it rivals Panerai, really I would say it is much nicer. The Unitas movement has performed flawless for me for over 4 years since I have owned it. 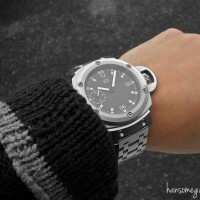 While the watch is a large diameter it does not wear large on my 7" wrist it's very comfortable and not to heavy. I have no complaints or areas where I would improve it is a perfect design. And no wonder that this was Herr. Spinners first watch! The UTS Adventure is a masterpiece of engineering! By far my favorite German mechanical watch that I own. A perfect balance of form and function!